Dr. Nael Bachour has a Bachelor’s in Science and a degree in Immunology from UCLA, as well as a Doctorate of Dental Surgery from NYU. Dr. Bachour believes in patient-driven dentistry and implements an arsenal of oral sedation and nitrous oxide to ensure patient comfort during dental treatment. 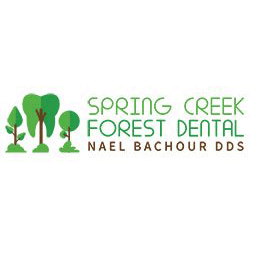 Dr. Bachour’s mission is to provide world-class customer service and dentistry to the community. He is an active member of the American Dental Association, Texas Dental Association, and The American Academy of Implant Dentistry. Dr. Bachour lives in the Woodlands and enjoys spending time with family and his beloved dog Bella. He also enjoys reading and staying current on dental research and technology. Dr. Bachour is an active member of St. Helen Catholic Church. In order to save Dr. Nael Bachour to your profile, Please register a Dental Insider account. If you already have an account,You can login in.